The “BEST INVESTMENT PRODUCT” award for the year 2010 does not go to Indian or china stock market neither to any particular economy. The award goes to Gold and Silver. Yes gold and silver have been the best investment and most favored and choice investment product for the year 2010. In this year we found the price and demand of gold coming out aggressively as well as from all economies. As the emerging economies are having a higher savings rate and global imbalances are exerting pressure on the currency, the demand for gold will rise constantly. According to the Reuters Global Banking Summit Report gold is being used as an income and alternative savings instruments. This means the paper currency is replaced by Gold. Moreover the more tight belts are being developed the more demand of gold will rise. The People's Bank of China said in August it would let its banks export and import more gold in a program to drive the development of the country's market in the precious metal. China is having a savings rate of 40% and hence its promotes among its citizens to save under gold. China is doing massive advertisements through TV, Radio, SMs and other communication means to invest and convert the savings into Gold. Inflation is another blessing for the gold price. Uncertainty among investors forces them to turn to Gold as a hedge against unforeseen disasters. Whether it’s a recession or inflation Gold will act as the only way to survive any crisis among all situations. In 2007, Mumbai-based Benchmark Mutual Fund became the first financial institution to offer a gold ETF . Since then, gold-based ETFs have drawn more and more Indian investors away from equity mutual funds. We have found in the recent figures that Equity Mutual funds schemes are reflecting outflow of cash. That outflow is the inflow in ETF made of gold. In India more raw gold prices and jewelry prices will increase the demand for gold ETF will increase taking this as an alternative investments avenue. Once gold becomes more expensive, investors will start their quest for a search of a new metal. At that point of time we find silver making a similar rally like gold. Silver is being held by mankind about 250 million ounces to up to 650 million ounces of silver (These numbers don’t include silver jewelry).Hence the silver has more opportunities of further mining. Once the gold mining comes to some stagnate level the price of gold will zoom up like any thing. This will make the yellow metal more expensive where as silver has yet to go a long way to catch up gold mining levels. Moreover gold is only being used as an investment avenue from central banks to the one sitting next you doing trading in gold commodity. Where as silver are electronics, photographs, and jewelry. Now all these will exert pressure from various corners on the gold and silver price in the new decade. As gold will become a scare resource in the coming year’s silver and platinum will see new decade of growth. 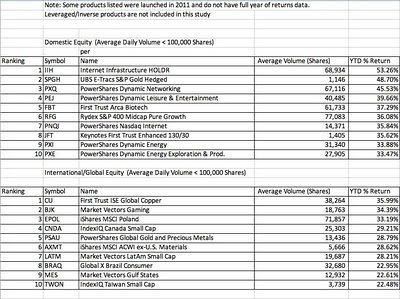 All these will force the global and Indian market to come up with a Basket of ETF. In other words we will need Metal ETF. Already in this year 2010 we find the first metal ETF got to see the light. The strangest part is this that more gold and silver is being consumed industrially and investment wise, other metals are coming out to replace and balance the expensive price at retail level. Silver and Platinum and basket of ETF will be the next phase of tremendous growth. Very recently first ever precious metals basket ETF which consist of Gold, Silver, palladium and platinum, launched allowing investors to have ownership of each share equal to about 0.03 troy ounces of gold, 1.1 ounces of silver, 0.006 ounces of palladium, and 0.004 ounces of platinum. As gold and silver is becoming more expensive for retail investors across the world ETF is becoming the most favored investment choice. Silver, palladium and platinum are used in a wide range of industrial applications and hence the demand is increasing more than the Gold. It’s nice to note that the trend call was a good one. Especially the pick of Tin and metals with an industrial double use like Silver and Palladium as an alternative to gold. The Indian markets have only witnessed the growth of Gold ETF. We don’t need any data to justify or bring the growth of Gold ETF in India. But we must understand and design products where apart from Gold ETF basket of ETF is required to bring consistent growth for Indian investors. We should not focus on particular product based ETF. We should look for long term growth where basket of ETF will give consistency in growth and not the risk of a particular focused product/metal. For example if today a gold price goes for a toss and there is a correction in the price Gold ETF will loose the sheen. Investors will face tremors of the crash. But if we do investments in Basket of Metal we will not face the tremors similar to Gold or any particular metal based ETF. The new decade starting from 2011 needs products more focused to give maximum risk management and protection in consistency in generating return to the investor. In the year 2011 investors needs and preference of investments is getting shifted from the conventional investments theory to more higher levels more ranged bound products. The Indian financial gurus need to capitalize on this part of investment products. The composition of basket of metal ETF should consist all the metals which are expected to become expensive like Platinum, Palladium, Aluminum, Copper, Zinc, along with Gold and Silver. All these metals will keep on giving return to an investment irrespective of any time any recession any boom phase of the world economy. Indian financial market is still far off from the innovative products cycle. What we have seen in the past decade was the first baby steps of product information and investments. It can be called as the Stone Age. Since it was the age of experimenting and not the age of Wheel Invention. The next decade belongs to the Wheel decade where an innovative product needs to be invented. Now its time to see whether Indian financial market enters into the Wheel Age or not and how well the Wheel spins. In other words in the coming year of 2011 we will find Europe and US going for massive budget cuts and imposition of higher rate of taxes. This will create burden and slower growth opportunities to the tune of 100% .Since budget cuts will lead to slower growth and imposition of higher taxes will result to less savings for the consumer. All these will exert pressure on the Euro, Pound and US dollar. 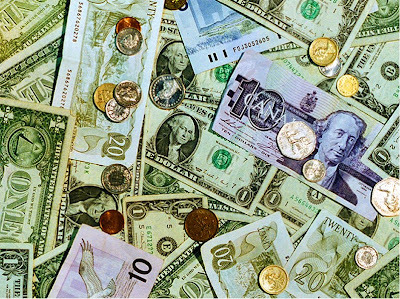 Their will be a huge reflection of fluctuation in all these currencies. Moreover when we look towards the Asian and Developing economies we find interest rates pull back from post recession levels to pre-recession levels will exert further pressure on Yen, Rupee primarily. In the past couple of months many economist across the world have raised their voices on currency war and many such subjects. Well say as diplomat one should make money from any war. Hence these currency wars need to be exploited and money needs to make from the war. Currencies are driven by the macro environment which is it a hot topic, and because currencies are valued relative to other currencies, if one goes up then the other one is going down. Thus an investor is always able to profit through currencies, regardless of the market direction. If we look globally we find that their have been huge demand and financial products related to Currency ETF. In the developed economies currency ETF have made investments and currency fluctuation a profit making game of the financial streets. If we make a quick look towards the probable currency ETF we find on the ladder of Developed economies then one will find the proof of the pudding. Even when we look into the pockets of Developing economies and Asian economies we will not find such numbert of ETF as compared to Developed Economies. This clearly indicates that Asian economies and developing economies are becoming new island of new financial products. The last several years have seen tremendous innovation on the product development front in the ETF industry. 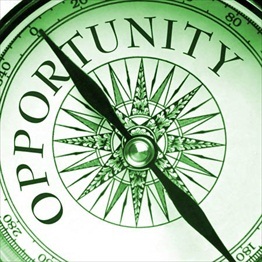 As a result, investors now have more options than ever before, including increasingly targeted products and access to increasingly complex asset classes and investment strategies. The industry remains very top-heavy, with a handful of funds accounting for the bulk of assets and trading volume. “The last several years have seen tremendous innovation on the product development front in the ETF industry. As a result, investors now have more options than ever before, including increasingly targeted products and access to increasingly complex asset classes and investment strategies. The industry remains very top-heavy, with a handful of funds accounting for the bulk of assets and trading volume. The economies are coming up with new currency products since earlier this type of global currency imbalance was not their. As the word of globalization has spreads the more demand to protect the downside risk of currency fluctuation have been developed. MECHANISIM OF CURRENCY ETF GROWTH. Investors are shifting from traditional financial products to new globalised products. Earlier financial products used to remain with the wall of a particular country where as now with the wind of globalization in trade practices currency ETF is picking up in the Developing economies. While designing investment portfolio Currency ETF is now becoming a new trend of demand. We will find currency ETF demand coming primarily from IT industry. Since they are prune to the highest degree to currency fluctuation. Global cross border investments needs currency ETF and this demand of trade is picking up each day in the Asian as well as developing economies. Earlier currency ETF was acclaimed as risky product since it was quite hard to predict and speculate the movement of the currency. But after recession and further blast of financial time bombs across the world have rattled the currency market and hence brought imbalances as the new guest. 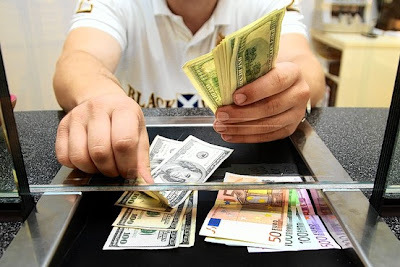 Currency fluctuation is the new child which will keep on growing as long as Developed economies will not bring down fiscal deficit and GDP and other economic wheels don’t pick up the pre-recession growth numbers. Until then we will find money being printed from currency ETF. Interest rate fluctuation across the global market is another boon for the currency ETF market. In the developed economies we can foresight a prolonged lower rate of interest rates and no near future of rise in rates. Where as in developing nation we have witnessed interest rates hike followed with more hikes to come up in 2011.Infaltion is one of the most important game players behind currency ETF. When ever inflation goes up as incase of India and China monetary measures are applied resulting surge in currency ETF gains. When ever inflation don’t come up as in case of US printing of money brings gains for currency ETF. So in either of the both ways currency ETF will bring growth for the investments. Currency ETF is not like the derivative products where complexity is the other name of its identity. Currency ETF are much safe as compared to them. Indian economy is yet to witness products of currency ETF particularly from the mutual fund industry. The mutual fund industry can find lot of opportunities from Currency ETF products. As less people are interested to keep their savings under any currency form as its quite impossible to predict which currency will devalue the savings, in that case currency ETF will give them a balanced position to and risk control over fluctuating currency. If you feel there are some foreign regions that are potential growth areas or emerging markets, a country ETF may be the perfect asset to increase your international exposure. If your portfolio is heavy on domestic investments, some foreign exposure may help balance your overall stratagem. Adding a country or region ETF to your portfolio can expand your investment horizon. If your portfolio or business has exposure to a certain region, investing in a foreign ETF may be a good way to reduce that risk and protect you against negative developments in certain countries. Indian mutual fund industry needs to bring currency ETF into the market so as investors in this segment are not from only HNI or retail. We will find Indian corporate doing parking of funds to rep the profits of currency fluctuation. 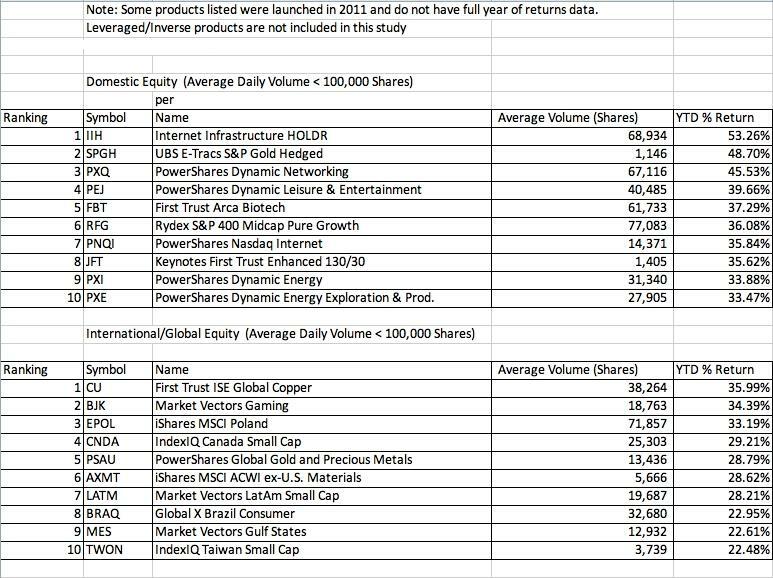 Apart from profit one makes diversification and risk management will be the key driver of Indian Currency ETF products. I will not be surprised to find debt funds loosing sheen and surge in currency ETF investment avenues. The Indian mutual fund industry is yet to grow in product specification. We have developed a number of funds of same nature but less new diversified products matching the global risk management have been developed. We need products where domestic as well as global investments in Indian mutual funds will take new shape and size. We might see many new mutual funds in India in the new decade. But we need to design them accordingly. The day of Oil and Coal is going to come to an end. Don’t get shocked by hearing what I said. Coal and Oil is not going to get depleted neither not going to get evaporated from the earth. We know that when the crude price was floating around $147/barrel the world economic condition was under severe pressure .Prices of commodity became expensive and inflation stated picking up followed with application monetary restriction polices. Apart from oil price affects on commodity and cost living, coal imposed further pressure on the cost of production and operation of the industries globally. The industrial sector uses more energy globally than any other end-use sector, currently consuming about 50% of the world’s total delivered energy. Energy is consumed in the industrial sector by a diverse group of industries—including manufacturing, agriculture, mining, and construction—and for a wide range of activities, such as processing and assembly, space conditioning, and lighting. 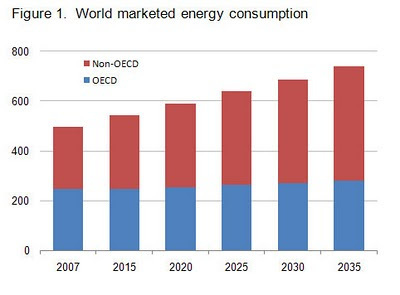 The below images shows the world emery consumption and its future growth. The global economic recession that began in 2008 and continued into 2009 has had a profound impact on world energy demand in the near term. Total world marketed energy consumption contracted by 1.2 percent in 2008 and by an estimated 2.2% in 2009, as manufacturing and consumer demand for goods and services declined. As more development and economic prosperity is going to happen in the world the dependence on coal and oil will increase. But one must bear in mind that coal and oil reserves are on the way of depletion and environmental protection and cut back on emission is the need of the decade. Every country globally is busy in formulating industrial policies to reduced emission and abide the standards of emission. All these clubbing together have made to quest for alternative energy segment. When we look around the world we find immense potentiality and growth of alternative energy. In this regard in this article we will bring you the facts related to alternative energy investments and growth opportunities across the globe. The US Alternative energy particularly the one in Wind and Solar is scouting for policy changes to promote and unleash the growth of the sector. According to the latest report from the solar and wind energy associations of US the Treasury Grant Program has supported 1,179 solar projects with total investments of over $1.3 billion in 42 states and 211 wind projects with total investments of over $15 billion in 38 states. These sectors will act as survivors to the US economy from the climbing unemployment rate of 9.8%. This alone will create job opportunities for the reeling US economy to the tune of 43,000 jobs by the end of the year, along with it will enable 4,250 megawatts of renewable power projects to come online. According to AWEA's research, there are over 15,000 jobs in the wind industry manufacturing pipeline alone. Very recently the Berkeley report has estimated that wind energy segment will bring 55000 new jobs in the coming days. The new capacity addition will reduce the burden of rising import bill of US due to the rising global crude prices. This programme further allows the owner of commercial solar or wind property to receive a 30% grant. Overall employment has reached 85,000 in the American wind industry, as installed capacity has grown 40 % in each of the past two years. Wind now generates 20% of the electricity in Iowa. High winds pushed wind power to 25% of the electrical generation in Texas, according to AWEA. Along with US, Europe is also finding new avenues to propel up the growth of the alternative renewable energy segment. Germany is focusing very strongly for the alternative energy segment. In Germany, solar cell prices fell and demands increased because the government decided to subsidize anyone who produces solar power. Now, solar power produces up to a tenth of Germany's electricity on sunny days. The three leading manufacturers on the German market for wind turbines were Enercon, Vestas, and Repower Systems. About 90,000 people in Germany were employed in the wind power sector. In 2009, Germany had a total of 21,164 wind turbines installed with an output of 25,777 MW (compared with 23,902 MW at the end of 2008. This clearly point out the probable investment being focused and ROI being generated from this sector. Germany has made clear plans of its alternative investments till 2020. It will produce 18% of its overall energy requirements from renewable sources. One of the mains reason for such a turnaround for Germany faster recession was the amendment of the Renewable Energy Sources Act (Erneuerbare- Energien- Gesetz, EEG). This came in to force in January 2009. It turns out to be the main stimulation for the German wind market and it especially will accelerate offshore development in Germany. Its not only Germany but other European nations have joined in exploring the immense growth of alternative energy segment. Very recently the European Investment Bank (EIB) and Enel Green Power (EPG) have signed the first €440m installment of a €600m loan that will provide finance for the company’s three-year investment programme in Italy. Ten European countries, including Norway, have agreed to develop an offshore electricity grid via alternative energy at the North Sea, in a bold move that promoters say will give Europe the possibility of tapping into an even bigger source of energy. Sweden, Denmark, Germany, the Netherlands, Luxemburg, France, the United Kingdom, Ireland, Norway and Belgium will now work together according to a precise schedule, in order to coordinate investments that will be made for developing these interconnections. French bank BNP Paribas's has raised €437 million ($581 million) for a renewable energy-focused fund that invests in European green power infrastructure. One can just imagine the growth and investment opportunities that take birth from the womb of alternative energy. In this decade alternative energy will save and help the US and Europe to come out from the burden of unemployment and fiscal deficit. 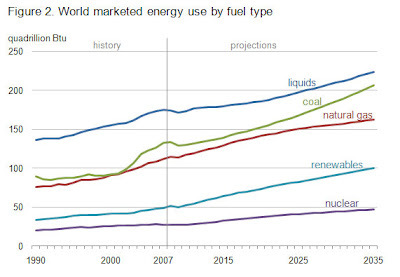 The below image shows the demand trend and probable foresight of demand of various fuels. Future Alternative Energy of India. When we look into the Indian alternative energy sector we find mouth watering growth opportunities more than US and Europe. I would like to present only the opportunities of investments in Indian alternative energy and no analysis will be required to justify further to identify the growth over investments. India will nudge ahead of the UK into third place by 2020. $1.7 trillion would be invested globally into renewable resources like solar and wind, biomass and other low-carbon forms if business continued as usual. • Engineering export promotion body, EEPC India have declared that India could witness fund inflows to the tune USD 5 billion over next three to five years in the renewable energy segment. • US government agency Overseas Private Investment Corporation (OPIC) is planning to invest around $300 million in new private equity investment funds focused on renewable technologies in emerging markets. • The investment in solar energy grew from $18 million in 2007 to $347 million in 2008. The investment in small hydro projects grew about four-fold to $543 million in 2008. The growth in biofuels fell by 80% from $251 million in 2007 to $49 million in 2008. • This comes soon after OPIC invested $100 million in Global Environment Fund's $300-million South Asia Clean Energy Fund. • Manila-based Asian Development Bank (ADB) is stepping up its investment in the clean energy space by putting $40 million in two India-focused private equity funds investing in this sector. • India now has the capacity to generate just over 11,000 megawatts of wind power, but, with the right investment, that could increase to almost 48,000 megawatts. • the Suzlon wind farm in Dhule, India, which when completed in 2010 will be the world's largest wind farm (already, its installed capacity is 650 MW, and its final capacity is slated to be 1000 MW) and the Acme Solar Thermal Power Plant in Haryana, India, which will be completed in 2019, and have an installed capacity of 1000 MW. 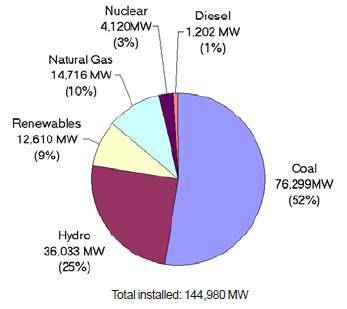 • Renewables (including hydro) already account for 34% of India's current Installed Power Capacity (if nuclear power is included, then 37% of India's current Installed Power Capacity is "clean"). India is currently ranked fifth in the world in terms of its wind power generation. • A report launched this week by the United Nations Environment Program (UNEP) indicates very impressive trends for India's renewable energy sector. According to the report, 'Global Trends in Sustainable Energy Investment 2009', India's renewable energy investment grew by 12% in 2008. With an investment of $3.7 billion in just a single year, India's renewable energy sector appears well on its way to meeting the ambitious target set by the Indian Government in the 11th Five Year Plan. • Indian Solar Investment Signals Greater World Bank Support for Renewable Energy – The first commercial utility solar project in India by Azure Power received a $10 million investment from IFC, a World Bank affiliate as the international lending agency steps up its support of renewable energy in emerging economies. · At the same time, small hydropower has the potential to generate about 15,000 megawatts of power and, what's more, is often the best way of providing electricity to low-income households in remote areas. The below image shows the energy consumption pattern of India. As more rural development will happen more power and alternative energy demand will start picking up. 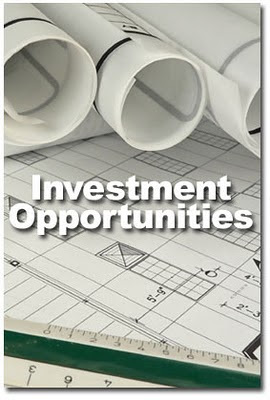 Venture and capitalist and corporate finance have immense investment opportunities in Indian alternative energy segment. A quick look at the trends of investments in India.India's Power Sector will Require Hundreds of Billions Over Next Decade – India could require about $250 billion investments over the next eight-nine years if it wants to grow at a moderate 7.5-8 % compound annual rate, according to a CII report. Private equity players such as IDFC have also come up with new models in 2009 by setting up IPPs themselves; Green Infra, a company that develops and operates power generation projects across wind, solar, hydro and bio-mass segments being a case in point. Independent Power Producers (IPPs) in this sector appears to provide attractive investment opportunity for private equity funds as a result of policy and regulatory developments such as generation-based tariffs, renewable energy tariffs and the national solar mission. • PE investment in SMEs took a sharp dip by almost 68% and stagnated at US$ 580 million in 2009. • Private equity investment in renewable energy sector picked up pace in the country from 2004, with Citigroup Venture Capital's $22.5 million investment in Suzlon Energy being a noteworthy deal. • Overall, PE deals in India during 2009 numbered 287 amounting to $4.3 billion as against 502 amounting to $ 11.9 billion in 2008. The total value and volume of PE deals reduced by 50% and 40% respectively as compared to 2008. • According to VCCEdge, the first seven months of 2010 have seen private equity deals valued at $5.1 billion, as compared to $4.3 billion in entire 2009. • According to the report, from a private equity investment of $851 million in 2005, inflows into the renewable sector in India soared to $2,136 million in 2008. • The below chart indicates the growth of the Private Equity and Venture Capitalist in Indian alternative energy segment. Growth of PE/VC in India. The India Infrastructure report focuses on infrastructure development in a low carbon economy and covers legal, regulatory, institutional and financial issues needed to facilitate low carbon technologies. Hence private equity and corporate finance will find immense growth in alternative energy investments in India. Investments around the world are ready to rock the 2011. From the struggling economy of US to the emerging economies every one is ready with their investment ideas and strategies. In this series of article we will present a host of economies where inside investments as well as cross border investment will be discussed. In my first issue we are glad to present you investments “In China”. Foxconn Electronics (Hon Hai Precision Industry) will invest an additional US$349 million in its component manufacturing subsidiaries in China. The investments in China will cover subsidiaries that manufacture products such as tablet PCs, handsets, cables, connectors, handset components, routers and printed circuit boards (PCBs). Prior to the US$349 million investments, Foxconn also announced investments of US$260 million to its China subsidiaries in October. China has open up the gates of investments towards medical sector. New policies to encourage private funds, including overseas capital, will be channeled to the medical sector. China wants to increase the quality of its health for the citizens. Investments will flow into reforming government medical facilities. Disinvestments will executed by the Chinese governments in health sector. The government-backed hospitals will be converted into non-governmental institutions to reduce the ratio of public hospitals. This year China has made some outstanding attraction of investments if we do number crunching. Investment in central government projects rose 10% year on year to 1.48 trillion yuan, while investment in local government projects was also up 25.9% to reach 17.27 trillion yuan, China's urban fixed asset investment rose 24.4% in the first 10 months year on year to hit 18.76 trillion yuan (2.83 trillion U.S. dollars). These figures makes one thing clear that the policies and the various investment opportunities of China are immense and even despite of lending curbs and interest rate hikes funds will never dry up. We all know that china have already increased investments in gold. Its per-capita savings is being deployed in purchasing gold and converting the paper based currency savings into gold. Now china has opened up the gates of doing investments in gold via ETF. Lion Fund Management Co has opened up the first ETF of gold in China. According to the firm it plans to raise up to $500 million in China to invest in overseas exchange-traded funds (ETFs) backed by gold bullion. Lion Fund Management has received approval from the China Securities Regulatory Commission and the State Administration of Foreign Exchange.Hence we should be ready to witness more upsurges in price and demand of physical gold and ETF in the 2011. China is busy in designing plans to invest $1.5 trillion in next five years, in the development of strategic industries. According to reports, China’s State Council is planning to invest 2 trillion Yuan ($300 billion) in the development of strategic industries each year over the next five years. Among these strategic industries we find seven sectors where the flow of capital will find its room in 2011 China. 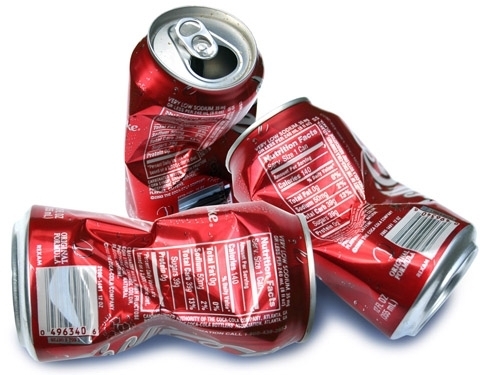 Due to environmental issues and to reduce the carbon emission this model of Fuel is demand. Ethanol is very hard to be produced keeping the food market demand of China. China's government is keen to ensure supplies of corn and other grains reach the food market, which is already stretched by fast growing demand. China is bringing a tide of strategic investment in energy savings tools. With total power capacity set to reach 1,430 gigawatt by 2015 from 874 gigawatt at the start of 2010, China has to figure out how to bring trillions of kilowatt hours of power to more than a billion customers, sometimes over very long distances. China is busy in reducing dependency on foreign oil and also wants to put a tab on cola consumption. This has forced china to open up investment opportunities scouting for energy saving technologies. China have already launched a major drive into hydro power and wind, gas and nuclear. This will supplement the coal sector that provides about 70% of its electricity. 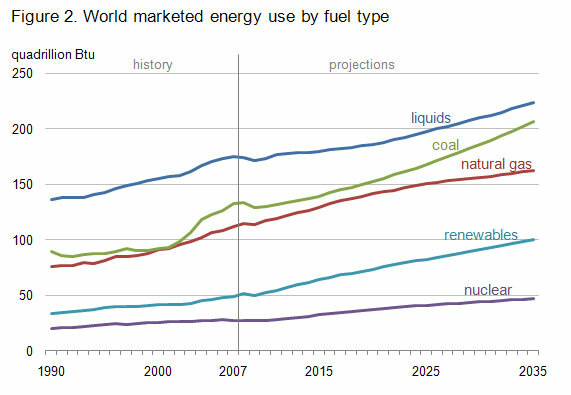 The investments in wind gas and nuclear is very low and huge investments is about to pick up in 2011.China is reducing coal consumption in order to meet emission reduction norms. China plans to build 13,000 km (8,078 miles) of high-speed rail lines by 2012.This will draw huge flow of investments in China in high speed trains. Bombardier Inc., Siemens, Kawasaki Heavy Industries Ltd and Alstom SA are the prime investors in this high speed rail projects. China is also one of the world's top miners of lithium, a metal used in batteries, metal alloys, ceramics and nuclear weapons. These materials needs high amount of mining investments. Exploration and mining business is going to pick up new trends and growth in china. China invited foreign investments for gold exploration to the tune of 300 metric tones of gold. China is also investing heavily in cutting-edge science, from nanotechnology to an array of 35 satellites that will provide a navigation alternative to the U.S. Global Positioning System by 2020. Countries like, Russia, China, and Brazil are emerging on the global map as the next-generation nanotechnology development regions. China is going to be the emerging new investor in nanotechnology. China is focusing huge on agro-bio technology. To improve crop yields, since demand is rising quickly but supply is constrained by a lack of available water resources and land area new technological initiatives needs to identified and developed. Technology is used to produce more on the same land and agricultural policy to be designed to give more incentive to the farmers to grow more to increase their productivity. Hence all these strategic investment opportunities will bring growth for the China in 2011.Currently we find that the strategic industries contribution towards the GDP is 2%.Its being planned to make this number climb to 8% of GDP by 2015 and to 15% by 2020. China is now pioneer in gold consumption. China's growing gold consumption came from all factors, including jewelry sales, private investment, as well as industrial and central bank demand. In 2009, gold consumption in China reached 462 tones in all sectors. And China's demand for gold has increased an average of 13% annually over the past five years, making China the world's second largest consumer market for gold after India. Chinese investments opportunities are going to provide growth for the world economy alike the first nation coming out of recession. China is going to enter a new decade of internal growth of its economy. Its changing its focus from export oriented economy to a domestically driven economy. We have to be ready to be a part of this investment opportunity. The US economy is very much rattled with the new Republicans policy planning’s. White house is busy in extending the tax proposal followed with a host of new regulations to be extended and implemented. After deploying trillion dollar of funds now the US economy have went for cut backs in its budget for the coming few years. It simply points out that US economic policy of pumping and printing funds will not increase the GDP growth of US. This year in 2010 the US economy is already running with budget deficit of 1.3 trillion dollars totaling up the figure to 13.3 trillion dollars. The recent tug of war between policy frame work between Democrats and Republican have propelled up new set of dilemma for the world economy. he President has decided to propose a freeze in civilian pay for federal employees for two years, 2011 and 2012. • This two-year pay freeze will save $2 billion for the remainder of FY 2011, $28 billion over the next five years, and more than $60 billion over the next 10 years. • It will apply to all civilian federal employees, including those in various alternative pay plans and those working at the Department of Defense – but not military personnel. • The President froze salaries for all senior White House officials; in last year’s budget, he proposed to extend this freeze to other top political appointees; and he eliminated bonuses for all political appointees. • The President directed agencies to dispose of excess real estate to save $8 billion over the next two years. • The President set an aggressive goal of reducing improper payments by $50 billion by the end of 2012. • In each of his budgets, the President put forward approximately $20 billion in terminations and reductions, encompassing more than 120 programs all of which have strong supporters. • The President put forward more than $1 trillion in deficit reduction in his 2011 budget, including a three-year freeze in non-security spending – which will bring non-security discretionary spending to its lowest level as a share of the economy in 50 years. o Repeal small business mandates in the new health care law. o Enforce sanctions in Iran. Above are the main parts of the Republican pledge received by CBS news and on all news stations throughout the United States. So one is now clear that if TARP comes to a sudden end or the Health Care Bill is replaced with a Medical Bill, the world economy is just poised for sudden tremors in fund pull outs from world economies. There is no point of dreaming easy liquid flow of liquidity in to the markets. Flow will remain but restrictions and measures. This is not for the holiday season which will begin at the end of December. Its call for the upcoming new year. One of the biggest expenses comes for the US is the US military and over their we will witness in the month of February when the US will present its budget, a huge set of cut backs. The U.S. armed forces comprise 23% of the overall national budget and account for the largest chunk of the world's military spending. Obama's commission has already tagged a number of big-ticket items for 100 billion U.S. dollars of military cutbacks in a draft of its budget recommendations. Most surprising part is that education of US is going to face cut backs in budgets when an economy needs to breed quality manpower. In other words in the coming year of 2011 we will find Europe and US going for massive budget cuts and imposition of higher rate of taxes. This will create burden and slower growth opportunities to the tune of 100% .Since budget cuts will lead to slower growth and imposition of higher taxes will result to less savings for the consumer. These economies will be able to reduce and bring down the fiscal deficit to little comfort zone but that might result to prolonged slow growth of these economies. The chairmen of President Obama debt-reduction commission have been unable to win support from any of the panel’s elected officials for their proposed spending cuts and tax increases. The chairmen released their final package of proposals for trimming nearly $4 trillion from projected deficits through 2020. Mr. Obama and senior Democratic Congressional leaders want to let the tax cuts expire on annual income above $250,000 for couples and $200,000 for individuals, while continuing the lower rates on income below those amounts. The Democrats’ plan would add roughly $3 trillion to the deficit over the next 10 years. The Republicans want to extend all of the lower rates, which would add about $4 trillion to the deficit over the next decade. This is just the begging of policy war. By the time the Budget of US gets finalized we will find new host of surprises which might attack the world market as “Tremors of Earthquake”. The coming days will be very important to watch out the strategies of growth as well reduction is being adopted by US and Europe. For the Asian economies we find huge investment opportunities but with restriction of creation of any bubble. India alone has huge expansion and internal demand of expansion. The entire focus is now being built on rural India. We find new projects coming in Cement, Steel, Power, Infrastructure and New Banks. This will be made by shifting resources out of the metropolitans and creating opportunities in rural. For example, large universities and research centers can be moved out of those big cities, so that not everything is concentrated in these areas. As a result, the migrant population will not always flow to big cities. So we find another huge opportunity of investments and growth coming from domestic China. Hence we may not be complaining about forced export of goods from China. Budget war is on and we need to wait and identify the hidden opportunities of growth and investments in the various economies. Scandals give birth to opportunities and shows avenues of growth with development. Sounds funny, but that the bottom line that the top line . In the past we have seen how the Indian corporate sectors have been rattled by various scams which hit the market from time to time. 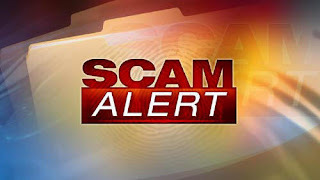 Every time we find scams every time we rise for better control irrespective of internal or external governance. We throw seminars on strategies on how to strengthen the corporate governance and bring new areas under the vigilance. Every time we also pop up with new strategies to challenge the existing code of corporate governance and come out with a new dimension of scams. The recent case related to loans scams has rattled the Indian political and bureaucratic more as compared to stock market correction in the past couple of sessions.NPA is a nightmare chasing not only in the night but also in the day. When business growth happens at an electrifying speed and new business opportunities opens up and materialize within a short span of time NPA are bound to increase.NPA control mechanisms have been designed and modified from time to time but if Indian follows the rules of the US mortgage collapse then imagine the strength of the NPA guidelines. One can design guidelines for the paper work but what guidelines will be created for Greedy mind. 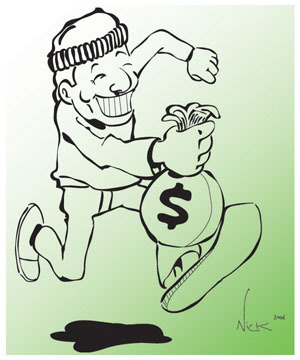 The greedy mind can change or originate from anywhere but no regulation can be created to control the greed. Banks have been roaring that we are having less exposure to the real estate sector or to any such scam related sector. The NPA are under control is the phrase being heard mostly now. I am sorry to say and bring you all the fact the type of involvement the Banks and Indian financial system have with the real estate and such sectors where NPA will breed like Bacteria. • The exposure of most of the banks to the sector rose to 11-24% of total advances at the end of March compared with 3-7% at the end of fiscal 2006, according to data compiled from the annual reports of banks. • Real estate advances comprised 22.44% of the bank’s total as of 31 March. • SBI had the largest exposure to real estate at Rs.87,125.16 core as of 31 March, followed by ICICI Bank’s Rs.63,870.73 core. From the above data its well clears that how banks and Indian financial system have stretched its hands towards the most controversial sector of India. Now before you start cursing try to figure out that when banks have posted growth numbers of loan disbursement and other growth numbers how many times your stock price jumped up and you made your wallet swell like a dead cat. We made money on that day on the basis of the NPA. Banks and Indian financial system made loan easily available to the sector and often without proper documentation or made unethical restructuring of loans. After this scam we will find liquidity squeeze and other preventive measures. One of the blessing of this squeeze will be Inflation will come down like a rolling ball to lower levels and “AM ADMI" will get space to breathe will low food prices etc. We will should be ready to wittiness very low inflation numbers coming out within a months’ time from now. Yes the ripple effect of the liquidity squeeze will hitting hard on the Indian corporate as cost of borrowing will pick up but one should understand that if a country dreams to have a GDP growth of 10% then one should build that growth on strong fundamental grounds. If you follow the pattern of growth model designed by the Subprime leaders India will be worst than US recession dark nights. One can achieve the 10% GDP growth following the path of US subprime, but after that it might take another 30 years to get that GDP climb to the previous levels. Stop exploiting of resources and misuse of liquidity since at the end the ball will come back to the place of its origin. If we make quick look towards the India real estate sector we will find that in the past 1 years time frame the sector was too much overvalued and that valuation momentum was kept on high with the supply of the credit provide under the scam.  The rise of the middle class (500 million), Non Resident Indians investing in Indian realty, Foreign Direct Investment entering the market, expansion of MNCs and Indian multinationals, proliferation of educational institutions, growth of IT, BPO, food processing & health care - all these are the factors responsible for the growth of Indian realty.  Chandigarh, Gurgaon, Vizag, Coimbatore, Kochi, Jaipur, Nagpur are some Tier II cities witnessing unprecedented boom.  Indian realty is growing at 30%, particularly in Tier II and Tier III cities. The $15 billion realty market is expected to reach $ 90 billion within the next 8 years.  Recently their have been reverse affects of the higher property valuations and prices.  Sales of residential properties in Mumbai have fallen by 40% since the peak in May 2009, says Edelweiss Securities, mainly due to higher prices which have increased by 15%-20% over the past six months.  The real-estate industry in Hyderabad is replicating the same scenario of lackluster sales as of the Mumbai market during the fourth quarter ended in March 2010.  The most astonishing fact is there is no movement in Ressex (Real-Estate Sensitivity Index) sales index in Q4FY09-10 compared to Q3FY09-10.  We find stagnation in Mumbai real-estate prices to flagging demand from consumers due to the abnormal rates that were being charged by builders. Prices are not allowed to drop.  Builders are not selling property at the prices which they are quoting. They are selling at discounted prices behind closed doors. Also, the funds the builders have been able to generate from multiple sources have enabled them to hold prices high, which is (again not) sustainable.  The real-estate market experienced an alarming rise of about 30% in certain Mumbai micro-markets during the first quarter of this year, resulting in a decline in sales by 50%-60%.  Real-estate market focused more on higher valuations and raising funds through the capital market than on end-user sales.  Buyers have already started much before not to go for buy of property and increase the greedy appetite of Builders. One of the biggest hit is going to hot the inventory sector. Building up of inventory has resulted to consumption and pick up of demand in the steel, cement and other raw materials. We will find drop out in demand from the sudden catastrophic levels to zero. Indian real estate sector needs very tights hands to control the unhealthy prodigal type movements and growth. What we will find in the Indian economy in the coming days is that again set of new guidelines and principles will come up to strengthen the Indian corporate sector which will at another point of time will fail. The problem is that no Bullet proof jacket can be made for the protecting corporate scams. One must understand the symptoms and take adequate measures. One needs guidelines to understand the symptoms. In the next series of corporate magazines and corporate Bodies meet we will find discussion on strengthening rules of the corporate sector. Make guidelines to understand the symptoms and not cure of the disease once it happens.